[13.10.2018 00:00:00] - A bit like Harry Potter's classmates could have felt, the participants of the eighth Chess Train establishes magic in its journey. And not only because Prague is magical, as Ripellino wrote, but also due to the departure of the train from the 4? platform. One hundred and three chess players from 21 countries around the world met on Friday morning in the Government Lounge at Main Station in Prague. At 9:59, they expected their special express train to be on the fifth platform where Hagrid's suitcases had already been gathered. One past ten, however, they left the fifth platform and none of the other passengers, such as the Czech football team, standing on the side platform in anticipation of a train to Slovakia, noticed anything because the train actually came to the 4th platform. The regular Chess Train participant Vojta Trochta is playing against young Slovak talent Monika Motycakova. 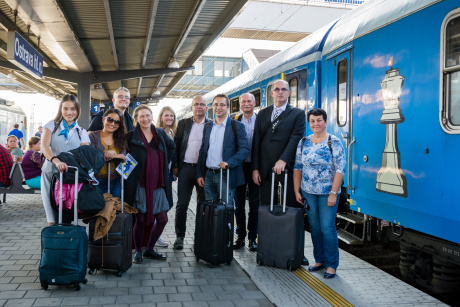 The Chess Train has just arrived in Ostrava. The first day, two rounds of the 11-round fast tournament were played on the way to Ostrava. The favorites confirmed in general their position. One hour before the arrival in the steel heart of the Republic, the city of Ostrava, they all enjoyed the duck with cabbage in the dining cars. 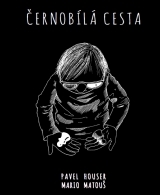 In Ostrava, most chess players and their friends went to Stodolni and October festivals. Other people went to see the industrial park around the former Hlubina train. The two happiest participants came to Heligonka for a new performance by Jaromír Nohavica Bo Mozart. 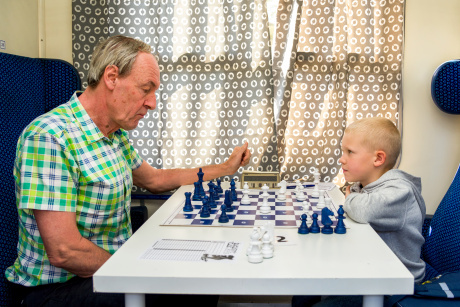 The youngest participant of the Chess Train, six years old Jan Bara is fighting with Andreas Trinkl. 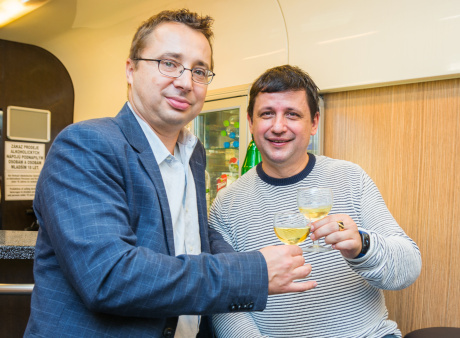 The chess-player Vlado Hrtko (on the right) became the grandfather in the moment, when the Chess Train 2018 was leaving Prague. The chairman of the Prague Chess Society Pavel Matocha congratulates him. On Saturday morning everyone, except one chess player, met at the station and went to Poland. The american player reached the chess train in a taxi in Petrovice near Karvina, the machine brake and he rushed to jump. The second day on the way to Warsaw, three rounds of the tournament took place according to the play schedule, and even main favorites were losing their first halves of the point. After five rounds in the moment of arriving into the Polish capital, there were at the head of the tournament peloton Alexander King with 5 points, in front of Wet Guy with 4,5 points and the group of 13 players with 4 points. The ongoing results of the tournament are here. 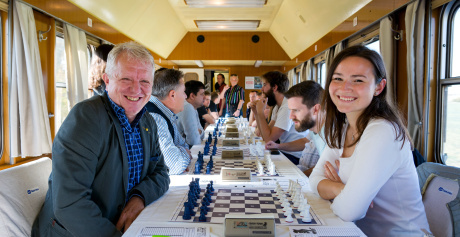 Photo gallery of the Chess Train is here. [26.01.2018 00:00:00] Poland and Czechia are waiting for you!